Audio specialist Harman International’s AKG brand has already made a name for itself in the professional audio realm for its microphones, headphones and wireless equipment. The company wants to bring that brand to consumers however, and it announced at Macworld Expo Tuesday that it planned to deliver a full lineup of consumer-focused headphones to the US. That plan includes more than a dozen consumer headphone models—including ear buds, in-canal earphones, over-ear headphones and mini headphones—ranging in price from $17 to $300. The line is designed to address the needs of all music lovers, from the casual listener to the high-end audiophile. 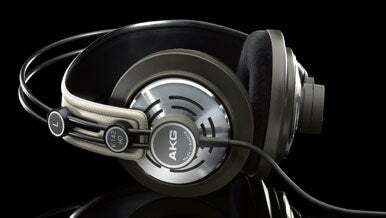 AKG products slated for a March release include: K309, K311, K313, and K315 ear buds; K317 and K319 in-ear headphones; K321, K330, and K340 in-canal headphones; K420, K430, and K450 foldable headphones; K142HD, K172HD, K242HD, and K272HD high-definition headphones; and K518LE limited edition headphones. Most models will come equipped with carrying cases and pouches for portable use, as well as ear foams, adjustable pads and/or head straps for optimal fit. All mini models, ear buds and in-canal earphones are iPhone-compatible.